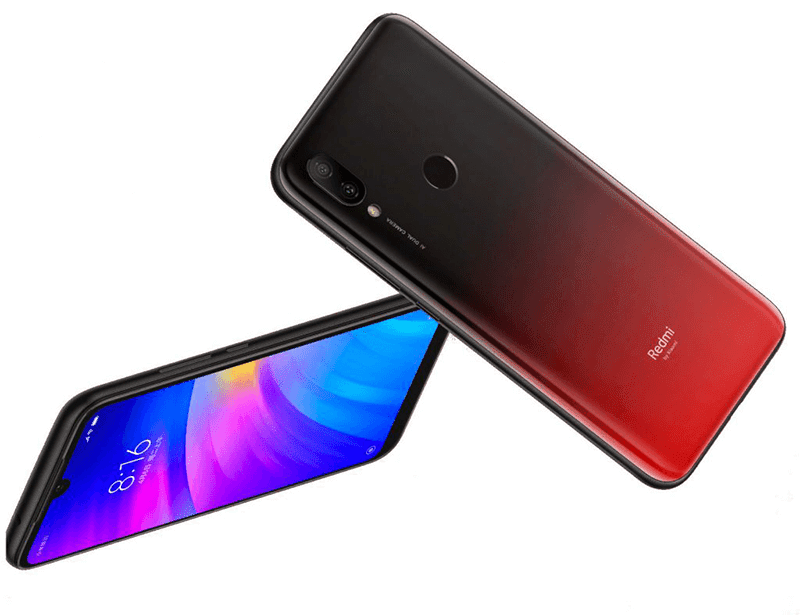 Redmi 7 announced with mid-range specs but entry-level price tag! Home / mobile / news / redmi / Redmi 7 announced with mid-range specs but entry-level price tag! As expected, Xiaomi released the Redmi 7 in China. It's an entry-level smartphone with a mid-range-grade specs but with entry-level price tag. 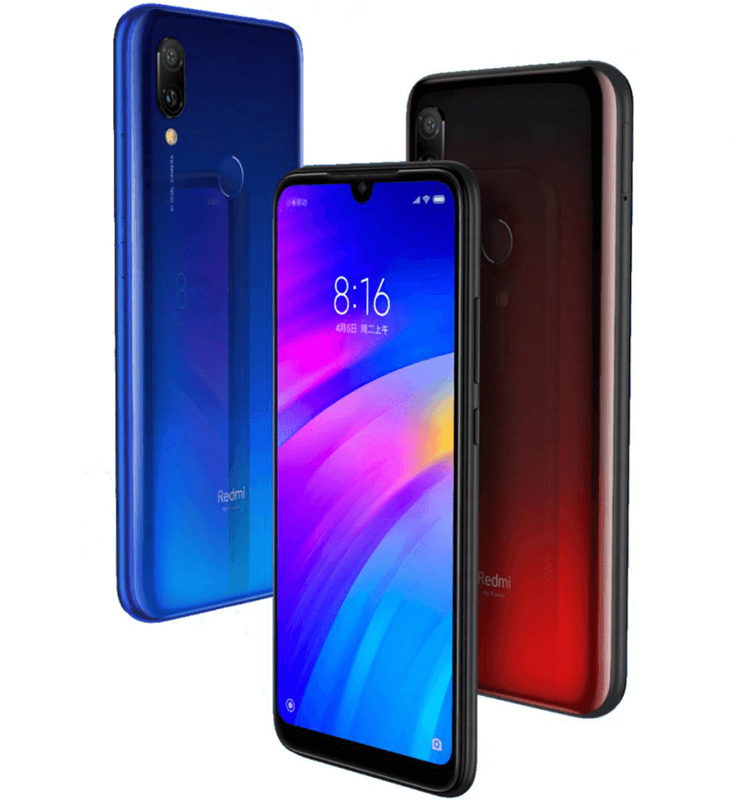 Xiaomi Redmi 7 highlights a 3D glass-like curved back design with stylish gradient colors, p2i coating, and a Gorilla Glass 5 protected 6.26-inch dewdrop 19:9 screen with HD+ 1520 x 720 resolution. Under the hood, it is equipped with the mid-range-grade 14nm Snapdragon 632 octa-core processor with Adreno 506 GPU. This chip is the successor of the Snapdragon 625 series. It is paired with 2GB/3GB/4GB RAM, 32GB/64GB storage, expandable storage up to 512GB with microSD, and large 4,000mAh battery capacity. On the camera part, it has two cameras at the back and one camera in front. It highlights a 12MP f/2.2 primary main camera and a 2MP secondary depth sensor at the back. For selfies, it goes with a single 8MP snapper. The phone also comes with a fingerprint sensor at the back, IR blaster, WiFi 802.11 b/g/n, 4G LTE, Bluetooth 4.0, FM Radio GPS, GLONASS, and dual SIM slots. Redmi 7 runs with Android 9.0 Pie with MIUI 10 out of the box. The device measures at 158.65 x 76.43 x 8.47 mm and weighs at 180 grams. The Redmi 7 with 2GB RAM/16GB ROM is priced at CNY 699 (around PHP 5.4K). The 3GB RAM/32GB ROM version is priced at CNY 799 (around PHP 6.2K) while the 4GB RAM/64GB top-end model retails for CNY 999 (around PHP 7.8K). It will go on sale in China starting March 26. We are unsure about its PH local release date yet.